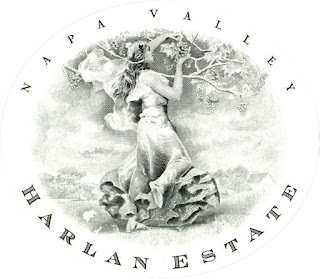 The amazing 2015 vintage from Harlan and Bond! to place an order and for more information. Not in stock yet, coming soon. Bottled in early 2018, the deep garnet-purple colored 2015 Proprietary Red Wine is a little closed, slowly unfurling to reveal black cherries, crème de cassis and plum pudding with nuances of potpourri, baking spices and tilled soil plus wafts of garrigue and wild sage. The palate is full-bodied and concentrated with exquisitely ripe, fine-grained tannins and fantastic poise and depth with a long, decadently fruited finish. The 2012 Harlan Estate is reminiscent of their 2002. Probably a candidate for perfection with another 4-5 years of bottle age, the wine is inky plum/purple to the rim and offers a gorgeous nose of scorched earth, blackberry and cassis, forest floor, and a floral, lavender-like component followed by deep, opulent, majestic flavors that caress the palate with high but sweet tannin. This is relatively evolved, and supple and voluptuous for a young Harlan estate – hence the comparison with their compelling 2002. This wine can be drunk in several years and is likely another candidate for 30-50 years of cellaring. Bottled in early 2018, the 2015 Melbury is deep garnet-purple colored with beautiful redcurrant jelly and crème de cassis notes with savory notions of tobacco, black olives and smoked meats plus a waft of lavender. The palate is full-bodied, firm and grainy, with a lively line lifting the perfumed, savory layers, finishing long. Bottled in early 2018, the deep garnet-purple colored 2015 Quella gives aromas of blackcurrants, black cherries and mulberries with touches of tobacco, new leather, iron ore and truffles plus a hint of tree back. The palate is full-bodied, muscular and laden with earth and mineral layers, finishing with persistent savory notes. Bottled in early 2018, the deep garnet-purple colored 2015 St. Eden springs from the glass with exuberant blueberry pie, potpourri and spice cake scents followed by a black raspberry, cassis and preserved plums core plus a touch of wild sage. Full-bodied, plush and decadently fruited, it completely packs the palate with layer upon layer of black fruit preserves, finishing very long with those spices coming through. Bottled in early 2018, the 2015 Vecina is deep garnet-purple in color, with baked blackberries, black cherries and blackcurrant cordial aromas that leap from the glass with nuances of roses, pencil lead, menthol and mocha. The palate is full-bodied, very fine and incredibly seductive with a solid frame supporting the generous layers, finishing long and exotic. Bottled in early 2018, the 2015 Pluribus is deep purple-black colored with minted cassis, pencil shavings and tobacco over a core of black plums, black berry preserves and mulberries plus hints of Chinese five spice and dried lavender. Big, rich, bold and decadent, it has a firm line of super ripe, grainy tannins and fantastic freshness lifting the generous flavors to a long finish.